July 3, 2017. Barsinghausen. August-Wenzel-Stadion. 22 oC. The encounter versus Odense, Denmark continued a series of pre-season friendlies. For the first time at the training camp, Yaroslav Rakits’kyy and David Khocholava paired in the role of central defenders, as Taras Stepanenko, Viktor Kovalenko and Alan Patrick appeared all at the same time in the defensive zone. The representatives of Scandinavia dropped back to their own half of the pitch from the opening minutes. 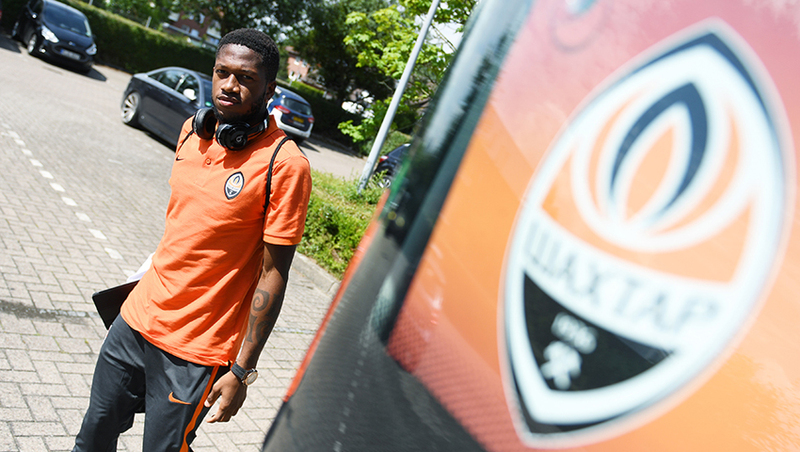 The Orange-and-Blacks delivered mainly set-play attacks. However, inside the 10th minute, Shakhtar players allowed the Danes to launch a rapid counterattack, and Anders Jacobsen converted his chance after going one-on-one with Andriy Pyatov. The goal changed the game pattern for a short while. With time, Paulo Fonseca’s men won back the ball possession and could even level the score-line on 22 minutes. Ismaily did well demonstrating his personal skills inside the penalty area, but Odense goalkeeper cleared the danger after a shot by the Brazilian. In the next attacking move, David Khocholava emerged in the middle of the action by sending his header goalwards after a cross from Bernard only to see Stan Grytebust make another save. The Miners’ advantage became overwhelming; as they took the game into the Danish side’s half of the field. In the 30th minute, Bernard should have realized his team-mates’ superb move into a goal, but dragged wide. Soon Yaroslav Rakits’kyy hammered from the set piece, before Alan Patrick tried to flick it into the corner, as Gustavo Blanco Leschuk had a promising moment of danger created by his teammates, however, the Donetsk side being out of luck every time. In the closing stages of the first half, Marlos could make his mark on the scoresheet, but Odense goalie saved his team again. After the break, Paulo Fonseca made only two substitutions: Oleh Kudryk and Taison appeared on the pitch in place of Andriy Pyatov and Viktor Kovalenko, respectively. By the way, it was the Brazilian midfielder who turned out to be the main character in the opening stages of the second half: he managed to equalize twice. First, Taison realized a penalty after Gustavo Blanco Leschuk was fouled (1-1), then he registered a brace in the 54th minute to restore parity, following a well-placed long-distance strike by Izunna Uzochukwu, by taking advantage of Ismaily's low cross that time (2-2). Shakhtar number 28 had a close opportunity to poach a hat-trick, however, he blazed over the bar. 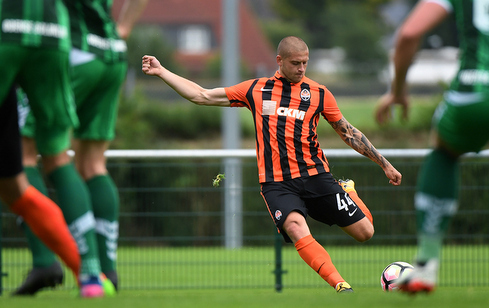 In the 69th minute, Shakhtar made two position changes: Dentinho came on for Gustavo Blanco Leschuk, with Ivan Petryak replacing Bernard. Soon the Miners pushed forward. Marlos outplayed his man again to fire right into the corner, before Odense keeper cleared the shot with difficulty, but Ismaily turned out to be the first on the rebound to make it 3-2. For the remaining quarter of an hour, Paulo Fonseca fielded seven fresh players, with Taras Stepanenko being the only one who had played the entire match. The dying minutes of the meeting saw the Donetsk team controlling the game. The Оrange-and-Blacks claimed a comeback - 3-2. The Miners will conduct their next friendly on July 5 at 18:30. Shakhtar opponents will be Kiel-based Holstein, Germany.